The arms of Edward Hyde, 1st Earl of Clarendon, adorn the first letter of his injunctions as Lord Chancellor following his visitation of St George’s Chapel on 7 October 1662. Issued in London on 10 June 1663, the illuminated instructions to the Dean and Canons of Windsor included the removal of Robert Cave from the Poor Knights due to his absence, scandalous conduct, married status and drunkenness and the requirement that the Dean be resident in the Deanery of Wolverhampton at least six weeks a year. The 1352 Statutes of the College of St George had established the Lord Chancellor as College Visitor, with ‘rights of visitation and jurisdiction over the same chapel and college and all persons in the same’. Any member of the College, including the Dean, Canons, Minor Canons, Lay Clerks and Poor Knights, had a right of appeal to the Lord Chancellor. In 1662, it was the Dean, Bruno Ryves DD, who called in the Earl of Clarendon, Lord Chancellor from 1658 to 1667, to visit St George’s to investigate the misbehaviour of Robert Cave, one of the Poor Knights of Windsor. The resulting injunctions issued and signed by Clarendon endorsed the Dean and Canons’ intention to eject Cave from the Poor Knights and to take away his annual allowance. Despite repeated warnings, Cave had absented himself from Windsor for at least one hundred and fifty days a year without permission and, when present, had been living with his wife within the Castle, forbidden to the Poor Knights at that time, had constructed railings on the wall outside his almshouse, which he refused to take down, and had been witnessed on numerous occasions drinking, gaming, quarrelling and even fighting in the town. Cave was not the only seventeenth century Poor Knight to be caught misbehaving; indeed the Chancellor’s injunctions noted that certain others of them had been found frequenting local taverns and ‘popinas’ (cookhouses). However, as a Chapter Act for 15 October 1662 recorded, it was Cave’s recalcitrance and continued refusal ‘to submit himselfe to the Deane and Chapter’ which led to his expulsion. In a letter written to the Dean by Clarendon the previous day, the Lord Chancellor confirmed Charles II’s support for the Dean’s actions and reported that ‘his majestie hath assured me he wilbe hereafter very carefull in disposal of those places of the Poore Knights upon such men as are worthy of them, and like to be satisfied with them’. The injunctions issued in consequence of Clarendon’s visitation were not restricted to the matter of Robert Cave and the scandalous behaviour of the Poor Knights of Windsor. The Lord Chancellor reminded the Dean and Canons that they should be in residence at least one hundred and sixty-three days a year, unless absent on the King’s business or in the service of the College, and should ensure the Minor Canons’ presence at divine offices. 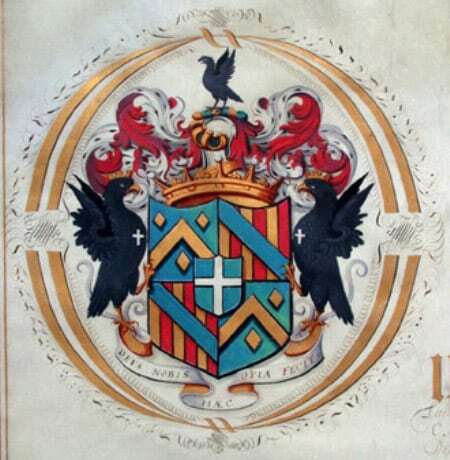 He also ordered that in future the Dean of Windsor who, from 1480 to 1846 served concurrently as Dean of Wolverhampton, should be resident in the Deanery of Wolverhampton at least six weeks a year in order to suppress the ‘dogmata et errores Ecclesiae Romanae, diversas haereses et schymata’ (dogmas and errors of the Roman Church, diverse heresies and schisms) which had arisen there. It would be interesting to discover whether Bruno Ryves did spend time in residence at Wolverhampton counteracting ‘heresies and schisms’ as instructed. With his numerous commitments in Windsor (as Dean and Register of the Order of the Garter), London (at the Royal Court and in the City of London, where he was appointed minister at St Giles Cripplegate in 1660), Acton, Middlesex (as Rector from 1660), and Great Haseley, Oxfordshire (as Rector from 1661), and with his prolific writing career, it seems unlikely.